The Silent Language. The Symbols of Hermetic Philosophy. Welcome to our first issue of Caduceus: The Hermetic Quarterly. We hope it meets with your approval and lives up to the expectations that we have created. Without the huge amount of encouragement and support we received when we proposed this journal and asked for contributions for it, it would not have been possible. The initial idea for this journal was created when we examined what options were available for students of Hermetics to exchange ideas and to educate each other. 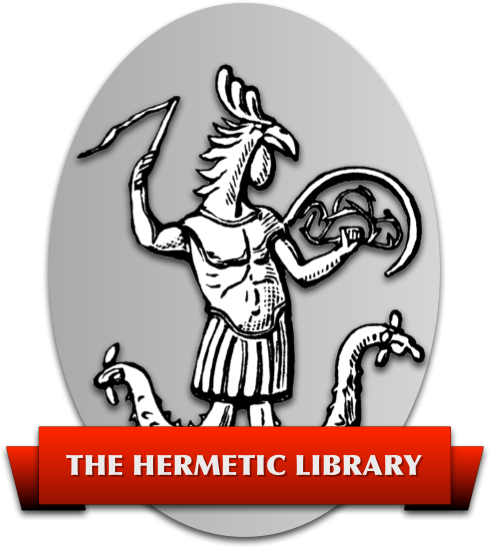 On one side were a few academic publications that completely rejected the idea of anyone in modern times following the Hermetic Tradition as a means of refining the soul and reaching towards the Divine. On the other side there are many publications devoted, in one form or another, to following the Hermetic Tradition but which reject any detailed analysis of what has been done before and all of the history and lore that make up this tradition. The one exception to this had always been Adam McLean’s Hermetic Journal which had, unfortunately, ceased to be published several years ago. We felt there was need for another journal like that one which allowed practitioners and scholars to meet in the same space. We asked ourselves, “Why not create our own inspired by this illustrious example?” and then set out to do so. This is the final result and is only the first of what we hope will be the work of a lifetime. We must acknowledge our debts. We would not be here without the support of our contributors who took it on themselves to contribute articles to a journal that didn’t even exist yet. We must also acknowledge the support of Adam McLean who took it on himself to mail out our call for contributions and contact information to his vast mailing list. This gift has likely made our success all the more certain and our gratitude cannot be adequately expressed to him. We would also like to thank Richard Brzustowicz Jr. for timely advice and aid in illustrating this work and Matt Basket for helpful advice in desktop publishing. Next issue we will have the second half of our introduction to the Art of Memory. We will also begin a series of commentaries on the plates of the Mutus Liber by Magophon translated by Kjell Hellesøe. As always, we welcome submissions freely through postal mail as well as electronic mail.